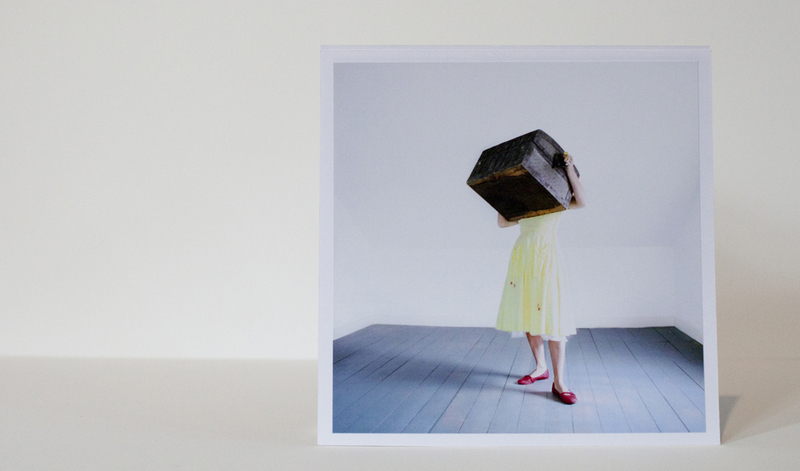 You an Orchestra You a Bomb Cig Harvey's third monograph, You an Orchestra You a Bomb, is a vibrant and bold book. Possibly her most beautiful to date. 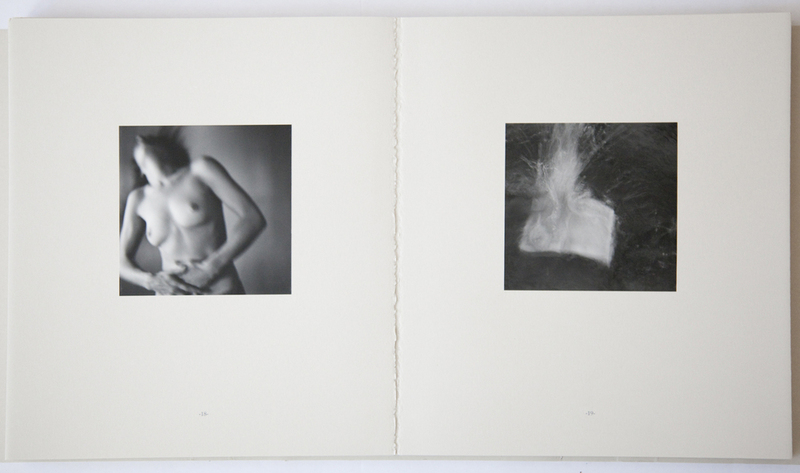 It explores the photographer’s relationship with life itself. 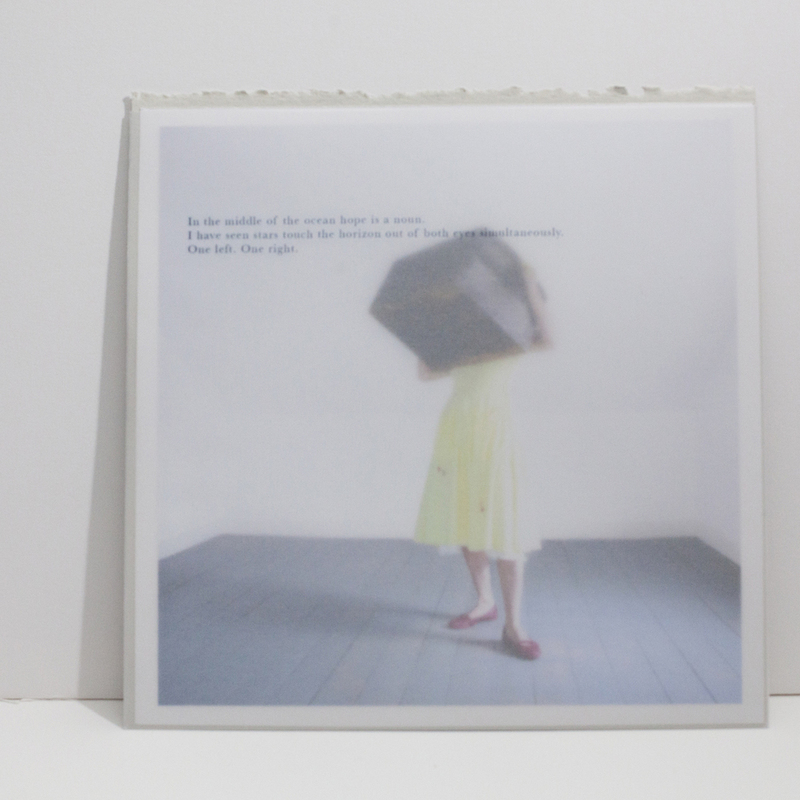 It is a book about paying attention to and appreciating the fragile present. You an Orchestra You a Bomb captures moments of awe, makes icons of the everyday, and looks at life on the threshold between magic and disaster. Cig has always experienced the world viscerally and this work shows a heightened awareness of the temporary nature of life. Through breathless moments of beauty, her images propel us to fathom the sacred in the split-seconds of everyday. 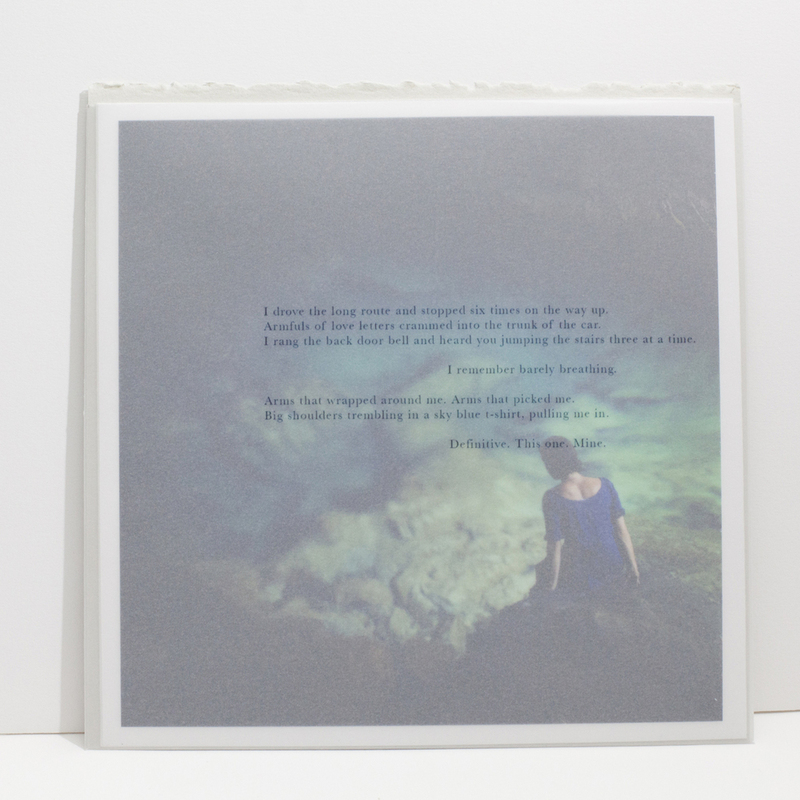 Cig's photographs are interwoven with her intimate poetry in this hauntingly beautiful book. 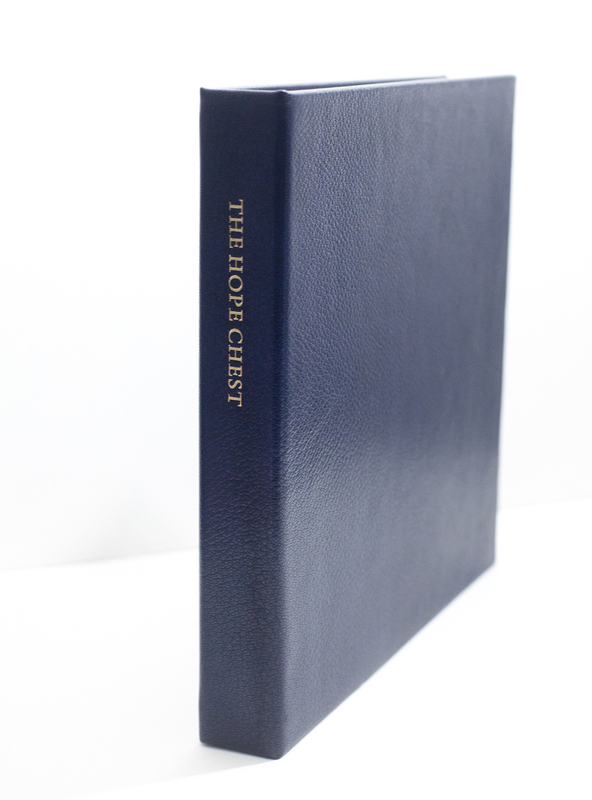 Format: A hand-bound by Cig, accordion-style book that can be displayed in one long line or as a traditional book form. 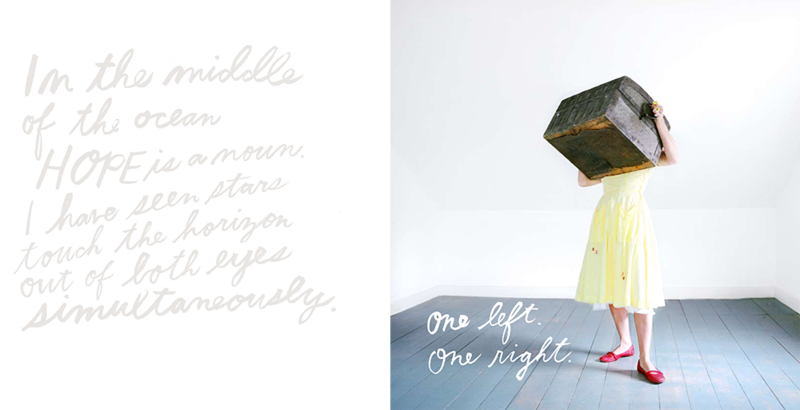 Text: 6 vignettes written by Cig Harvey and designed by artist Deb Wood. Printed letterpress with archival inks by Fox Island Press, North Haven, Maine. Cover: Wrap-around cover featuring hand-cut paper title by artist Hannah Berta and original silk screen print by Claire Donelly of Fox Island Press, North Haven, Maine. Paper: The book is available in one of two beautiful heavy-weight paper options: Stonehenge Pearl Grey or Rives BFK white. 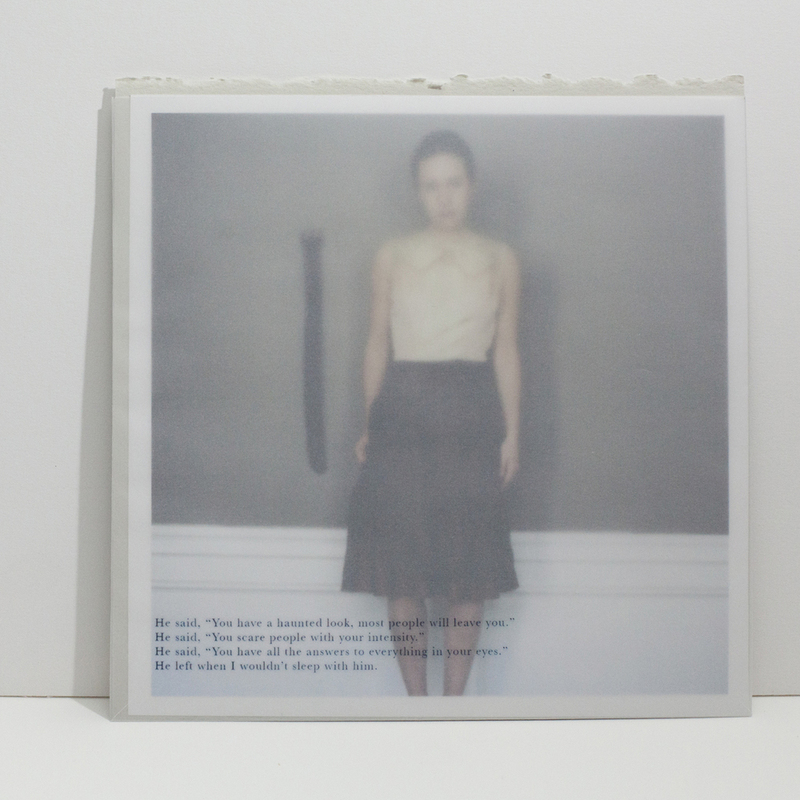 Box: The book is housed in a custom-made cloth clamshell box by artist Richard Smith, Camden, Maine. 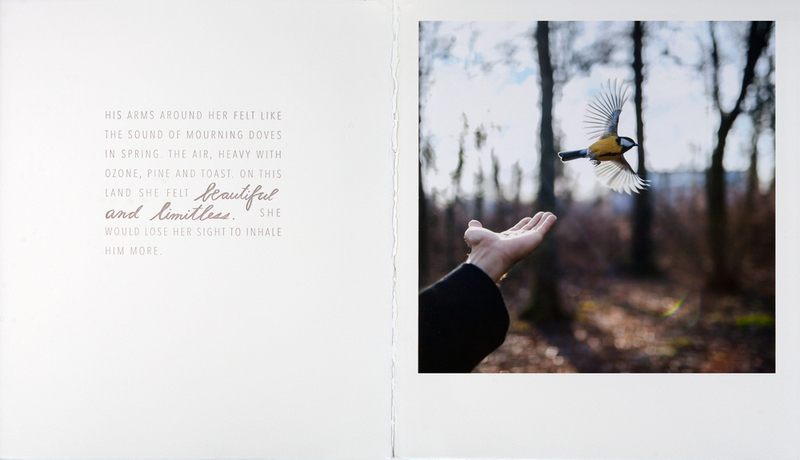 Limited Edition of 14 books, each hand-made, hand-numbered and signed by the author/artist Cig Harvey in Rockport, Maine 2016. 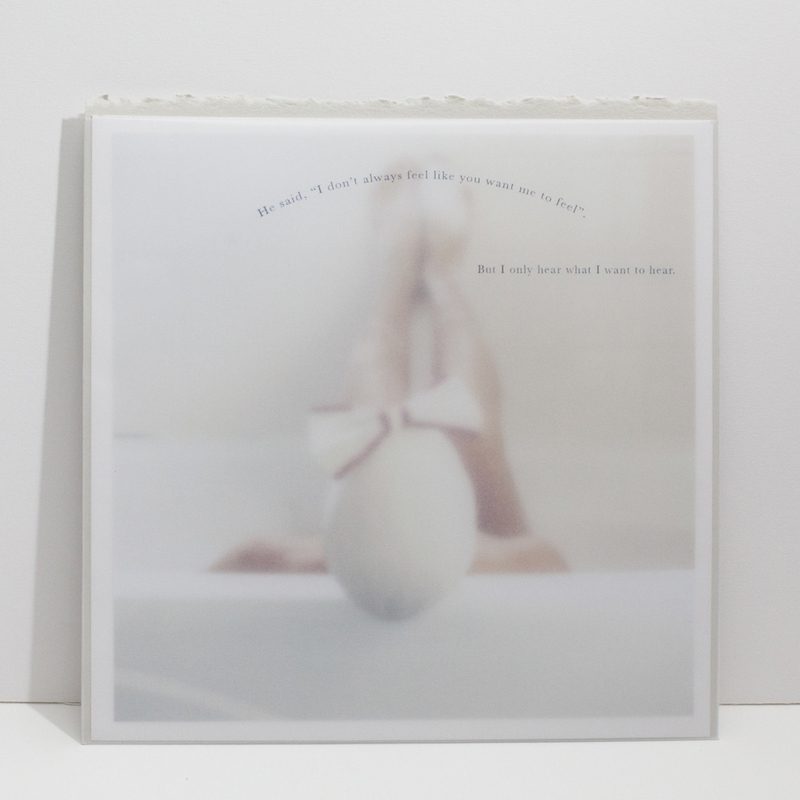 Cig Harvey calls this book a love story that reveals the mysticism in the mundane. 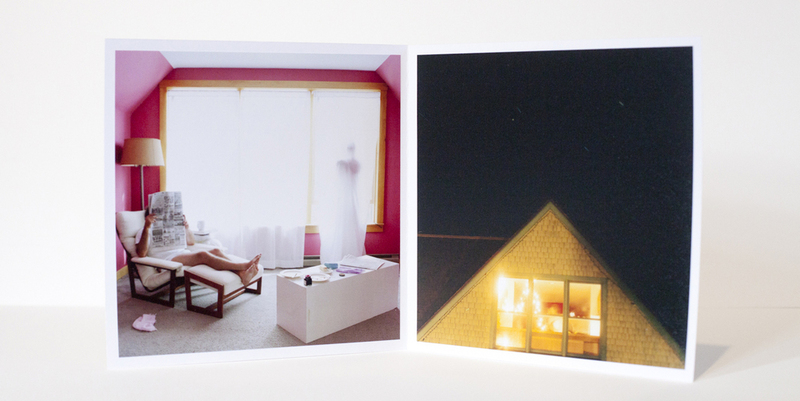 Her photographs and words explore the passage of time and show that home is wherever you look for it. 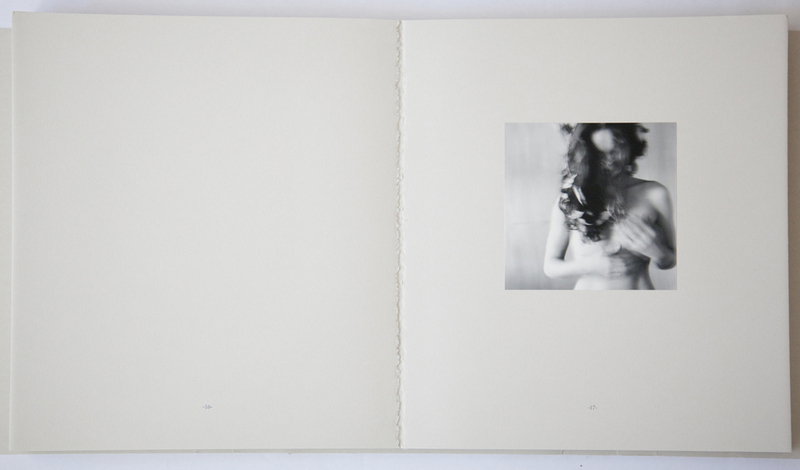 The text is simple - and beautifully letter-pressed in a warm grey allowing the photographs to take center stage. We become invested in the unfolding story of a home, a marriage and motherhood. 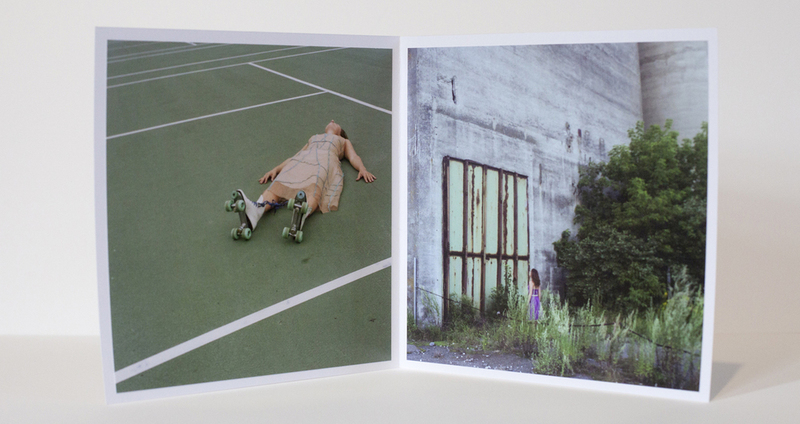 The images are as much the unconventional, compelling narrative as the text. Not simply a collection of images interspaced with words, this is a complete book with the images taking up the telling of the story when the text leaves off. Ms. Harvey is correct: this is a love story but one that could only be told by an artist of her intensity and capability. The third in what one can only hope to be an ongoing autobiographical series, this is an astonishing book - at once an intimate view of an artist's life and the universal beauty of the natural world, color and shape, and love. Buy direct from Schilt Publishing Europe. Gardening at Night is an exploration of home, family, nature, and time. It’s predecessor, You Look at Me Like an Emergency, captured journeys in finding and defining home, while Gardening at Night denotes settling into one’s landscape, and creating life where you are. The narrative throughout has a delicious element of magical realism – the viewer is left with the feeling of waking within a dream. 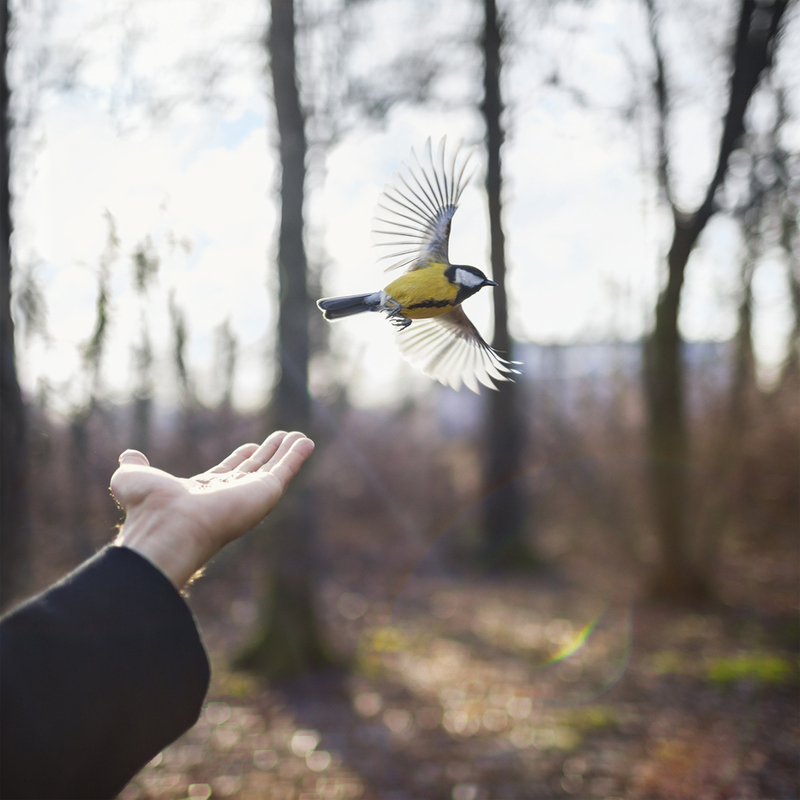 On the other hand there is familiarity in what she evokes – something primal and instinctual that points to each person’s connection to nature. Seasons figure prominently as metaphors for the cycle of life, and interplays between shadow and light underscore the work. 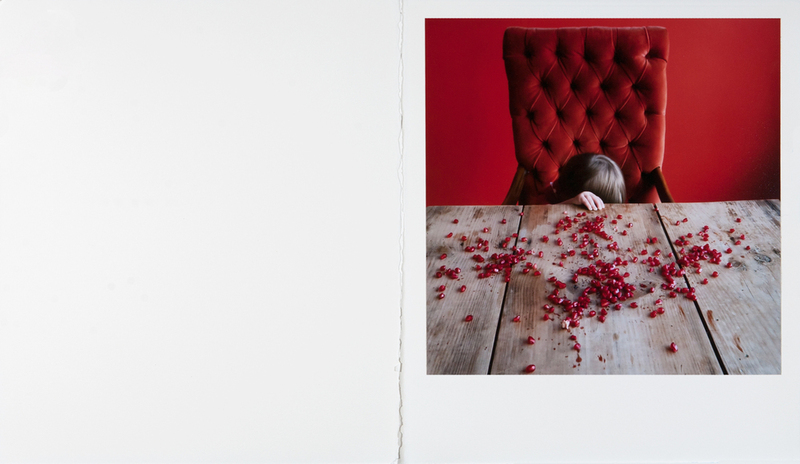 Each photograph and written vignette offers a tactile experience of things that ordinarily seem intangible – the secret life of birds, of barren winter trees, of the lake in spring time, or the girl in the window whose house you pass every day. The seventy five jewel-toned images are arresting and weighted, but punctuated, as always by Cig’s characteristic whimsical style. The result is an intensely personal collection that captures an experience of the world that is at once otherworldly and yet instantly familiar. 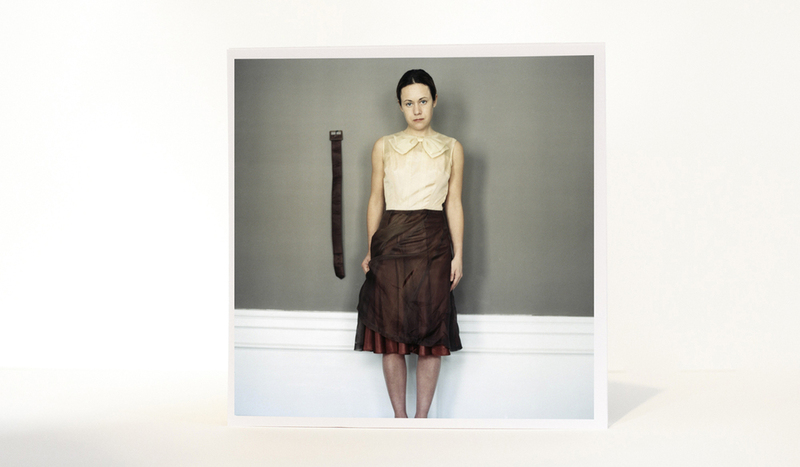 Cig Harvey’s You Look At Me Like An Emergency is a visual autobiography populated by the photographer’s central relationships for more than a decade. 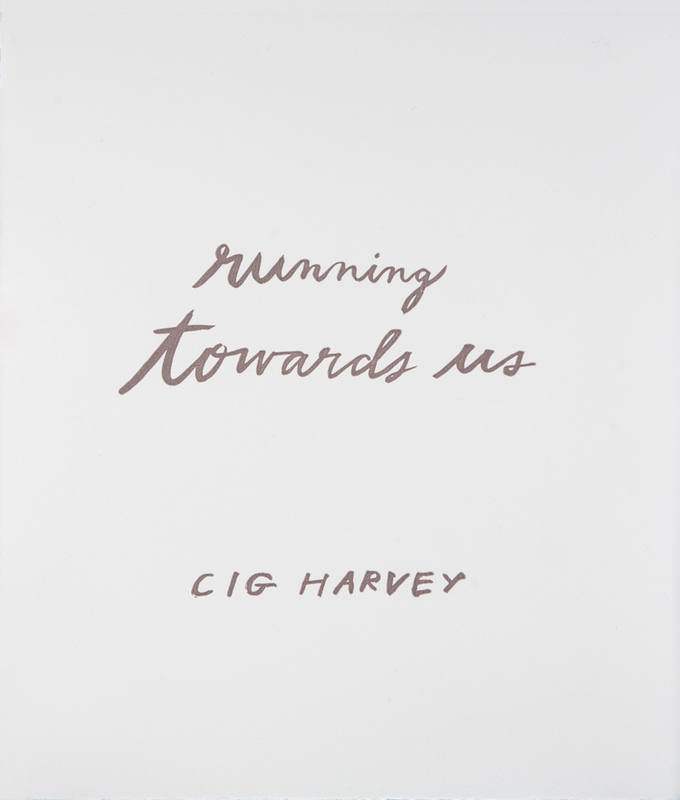 Through rich, vibrant photographs and startlingly, honest writing, Cig transforms quotidian experiences, that reference time and place, creating totems that mark key moments in her life. As much a map of one woman’s emotional life as it is a catalog of psychological archetypes, You Look At Me Like An Emergency, takes the viewer on a literal and metaphorical journey that deals with rejection, hope, strength, loss and love to finally find a place called home. 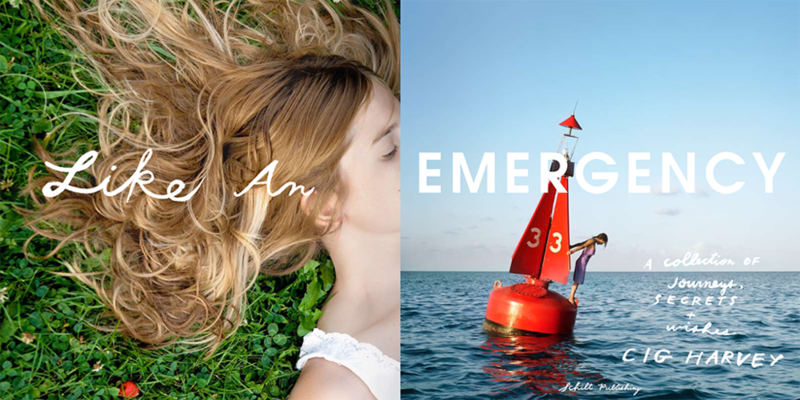 In seventy-four luminous photographs and seventeen personally written vignettes, You Look At Me Like An Emergency, conveys the universal quest for personal identity and place in the world. Published by Schilt Publishing. Distributed by Thames & Hudson, in Europe and Ingram in US. Spring 2012. 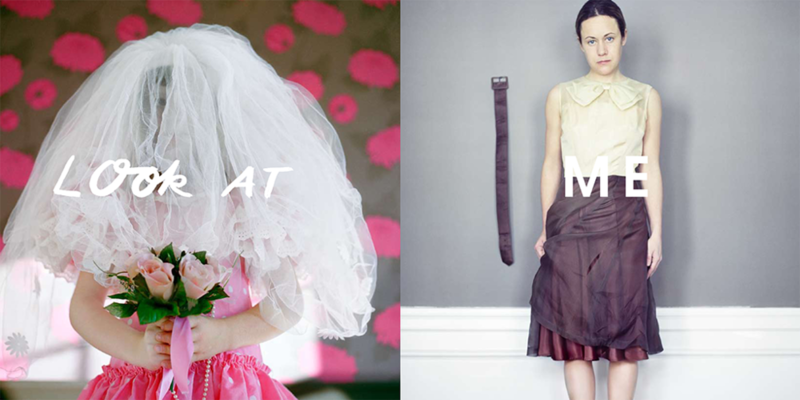 A untraditional love story told in twelve parts. 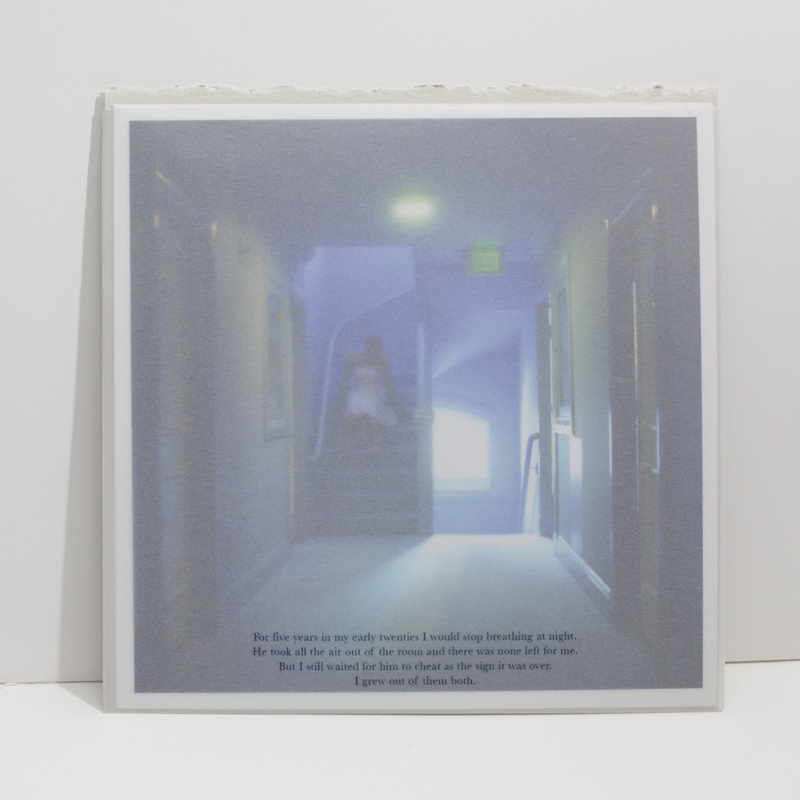 Each section has a written vignette and either a single, diptych or triptych photograph. 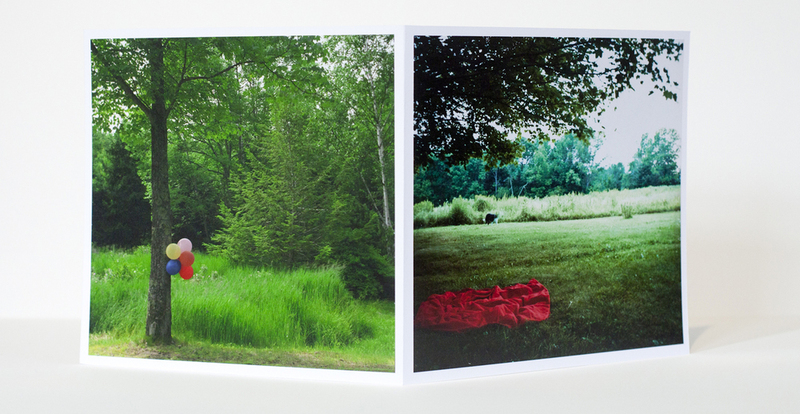 All 24 photographs are 8"x8" archival C-prints on Kodak Endura Luster paper and mounted on to Stonehenge White. Covers and pockets are made from Stonehenge Pearl gray paper and ink jet vellum. 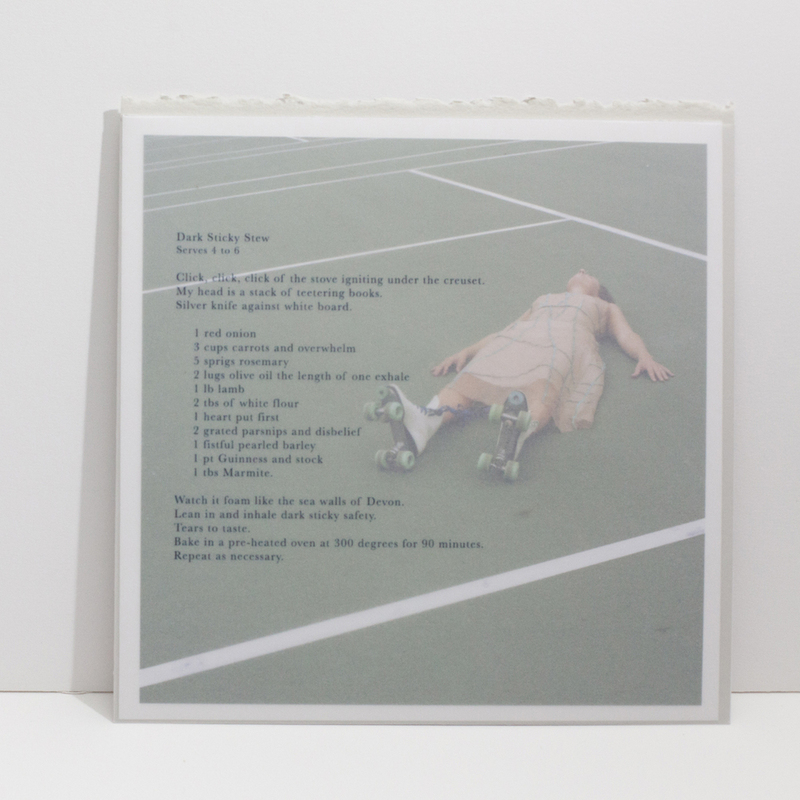 Book design and assembly by my self and Claire Donnelly. Wrap-around cover is printed letterpress in gold by Wolfe Editions. Custom-made clamshell constructed by Caitlyn Thompson in the softest leather with gold leaf titling. The Hope Chest is in the permanent collections of The Farnsworth Museum, Rockland, Maine, Special Collections at Bowdoin College, Brunswick, Maine and The University of Washington, Seattle, Washington. 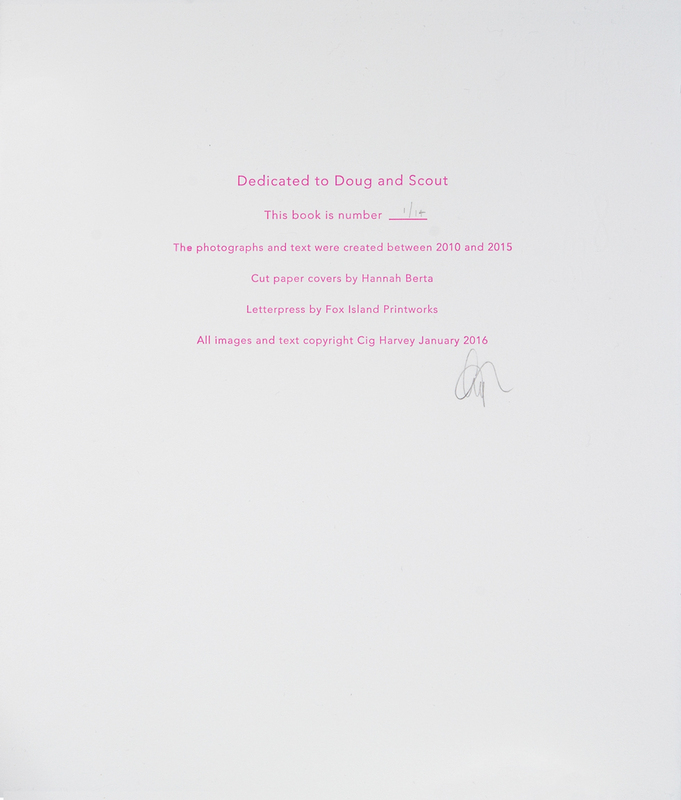 The Hope Chest is made in an edition of 15 with 2 artist proofs. All books are numbered and signed. 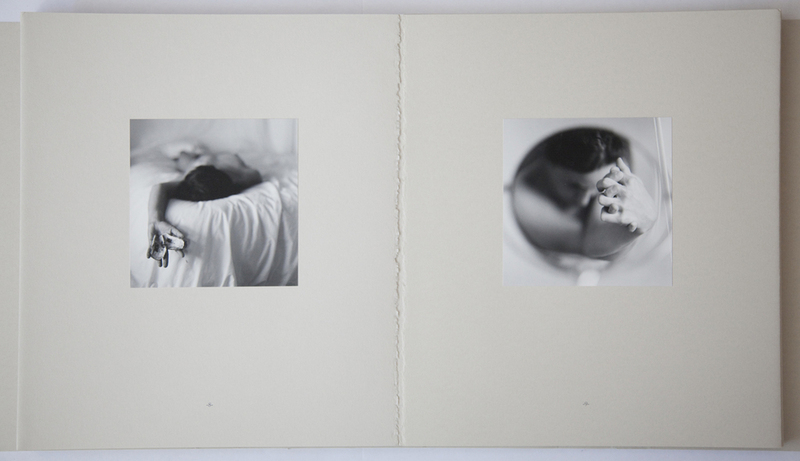 Tread Softly is an autobiographical story about loss and the struggle to find independence visually told through 24 original silver gelatin prints. 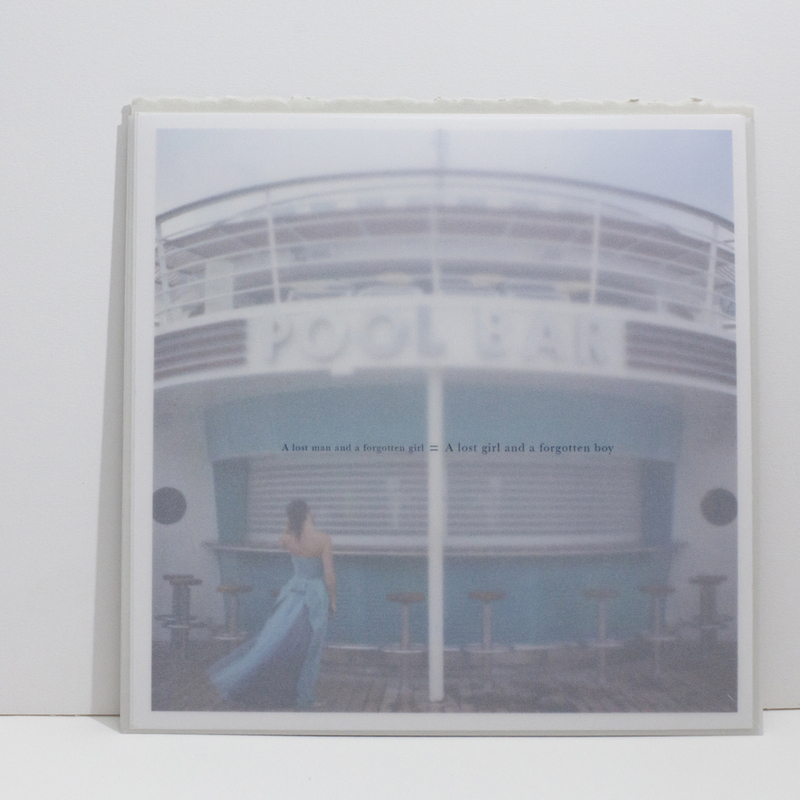 Each image is individually printed by the myself on a Kodak single weight semi-matte paper and toned in selenium 1:20 for archival purposes. 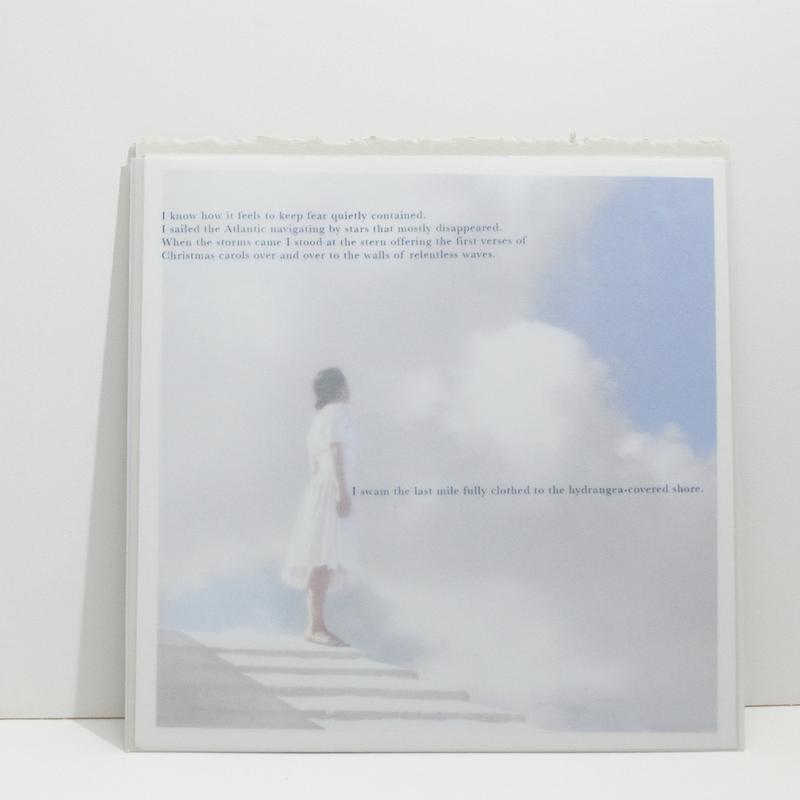 The unique binding was designed in collaboration with artist Jessica Gellweiler and each piece is professionally hand bound one-by-one by myself using a beautiful acid free archival paper interleaved with a Japanese tissue. It is an absolute exquisite artifact. 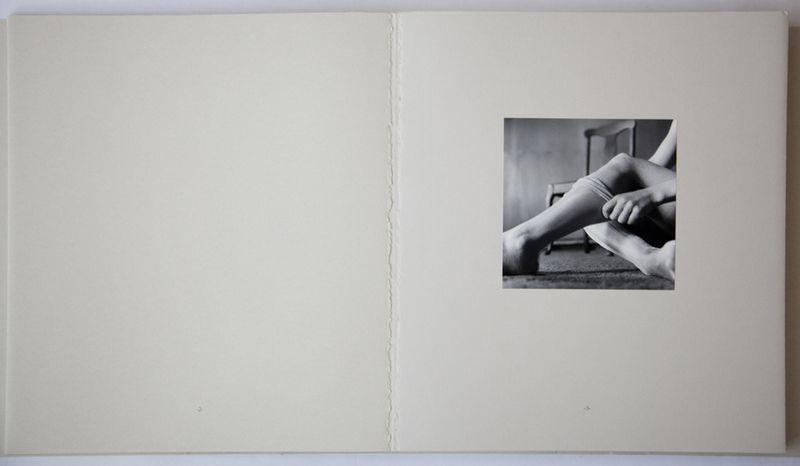 Tread Softly is made in an edition of 15 with 2 artist proofs. All books are numbered and signed.